You See Junk, We See Treasure..
We all have collections and things we hunt for while thrifting, but me and Kelly are curious about what you do with your collections? Are they organized? do they just become more junk? I am still organizing our new home and I think I might have too many collections, I might need to cut down on my collections, if they start feeling like junk. Kelly says they start feeling like junk when I let them become less organized and more like clutter. What do you think? Do you think our collections say anything about us to a viewer? Does anyone even know your a collector? Here are some images Kelly found that made us very happy. You see Junk, we see treasure. I need some drawers like this BAD! I don't have any type to put in them, but I would put trinkets from vacations on display. I Love this trunk along with all the threaded spools. I feel like I haven't used my sewing machine in ages. 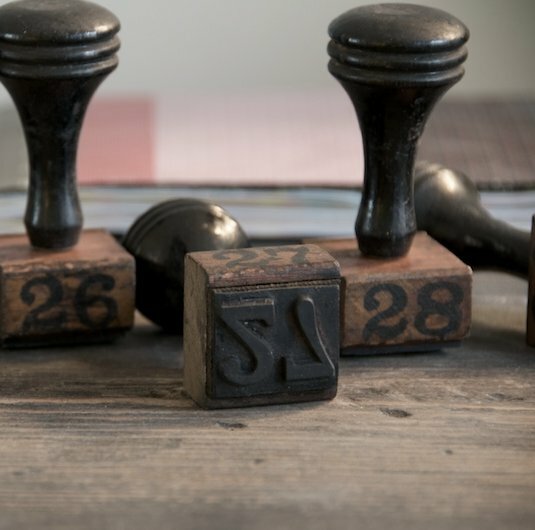 You can never have too many stamps, especially old ones like these. I go crazy in office supply stores because I love office supplies, I always have. These stamps....I need!!! 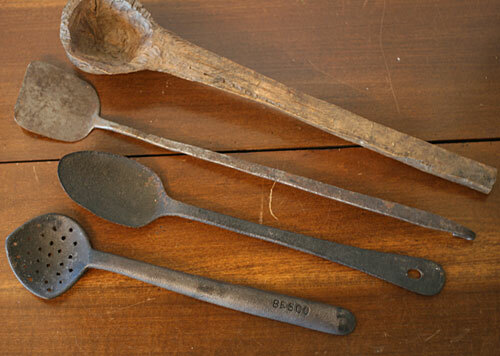 When I see old kitchen utensils all beat up, I wonder how many times they were used, what kind of meals were made, and how many children got beat with this wooden spoon? haha...you never know. If I had my own store this would be a very cool display wall.